Apple has published a support document detailing the new iPad Pro's enclosure manufacturing process, in an attempt to assure customers that the new device is durable and strong. To provide optimal cellular performance, small vertical bands or "splits" in the sides of the iPad allow parts of the enclosure to function as cellular antennas. For the first time ever on an iPad, these bands are manufactured using a process called co-molding. In this high-temperature process, plastic is injected into precisely milled channels in the aluminum enclosure where it bonds to micro-pores in the aluminum surface. After the plastic cools, the entire enclosure is finished with a precision CNC machining operation, yielding a seamless integration of plastic and aluminum into a single, strong enclosure. In the note, Apple also points out that the "flatness specification" allows for nomore than 400 microns across the entire length of any given side. It also says that "the new straight edges and the presence of the antenna splits may make subtle deviations in flatness more visible only from certain viewing angles that are imperceptible during normal use." 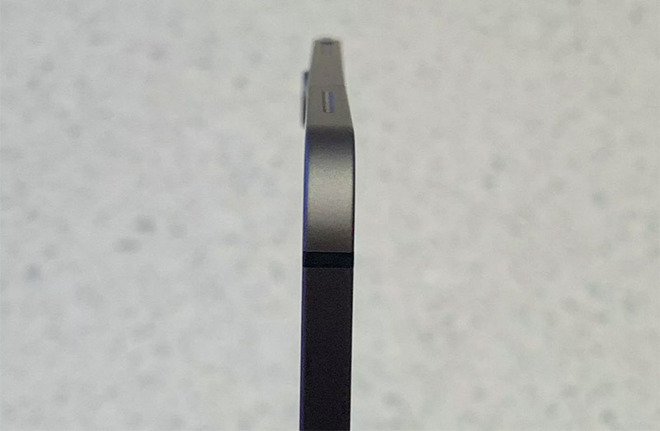 On December 19, Apple confirmed that "some" 2018 iPad Pro models ship out to consumers with a slightly bent chassis. The company said then —and repeated on Friday —that the deformation does not degrade performance and is not considered a defect. Apple noted in December that its latest iPad Pro is seeing a normal return rate, suggesting most users have not observed or are not bothered by the manufacturing side effect. Collated service data collected by AppleInsider has seen a very slight uptick of just under half of one percent of all service calls for any Apple product since the original report, which isn't statistically significant. So, it isn't clear how prevalent the issue is at this time. Similar to what AppleInsider pointed out in December, Apple suggests that users who feel that the iPad Pro does not meet the 400 micron tolerance should contact Apple support, and take advantage of the company's 14-day return policy. The company notes that "Apple also provides up to a one-year warranty on our products and will cover damage if it has occurred due to a defect in materials or workmanship."